In commemoration of Black History Month, Lesbians of Color Symposium Collective, Fenway Women's Health Team, Flashback Sunday, Black Pride & Wicked Queer proudly presents the documentary “The Passionate Pursuits of Angela Bowen” on Thursday February 8th from 6P to 8P at Fenway Community Health Center, 1340 Boylston Street in Boston, MA. 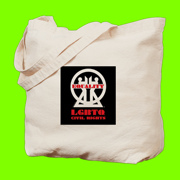 For six decades Bowen has influenced & inspired untold numbers, speaking out as strongly for the Arts & Black & Women’s Rights as she has for LGBTQ Rights. Candid, compelling, and inspiring, “The Passionate Pursuits of Angela Bowen” depicts Bowen's life across the decades, with archival footage, timeless musical selections, photographs and interviews. 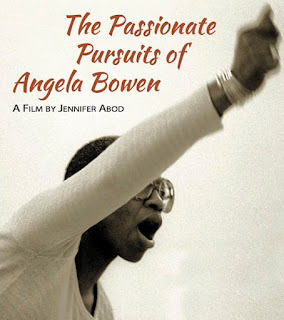 The film is about the life of Angela Bowen, a black lesbian feminist writer & activist who grew up in inner city Boston during the Jim Crow era & became a classical ballerina & famous dance teacher & professor. The film depicts Bowen’s life across the decades from the early fifties, with historic footage, photographs & interviews including her dance mentor, dance partner, former husband, partner, children, activists, scholars, dance & university students. Bowen’s candid & compelling stories allow us to understand how race, class, gender, age & sexuality played into her decisions & choices, her mission & strategies for survival. “The Passionate Pursuits of Angela Bowen” by filmmaker Jennifer Abod challenges & inspires its audiences to pursue their own dreams with tenacity & courage but not for themselves alone. Light refreshments will be provided & there will be an intergenerational talkback following the screening. As a native Bostonian, I am very excited to see this film.